The way BBQ was meant to be! The way BBQ was meant to be. BBQ should be timeless . Holding on to tradition, before the world became automated, technology replaced people, and when a true craft was appreciated. That is exactly what you get from Skeeter’s. Our pork, chicken and beef are crafted with a special blend of spices and are slowly smoked with a variety of wood, at a low temperature, adding natural flavor while creating a juicy, and tender masterpiece for your enjoyment. Side dishes are made with the same attention to detail, wholesome ingredients and time to create that masterpiece of flavors that you deserve and soon to expect. When it’s time for the sweet desire that you have to complete your experience at Skeeter’s, the level of detail isn’t missed. If anything at all, the attention to detail, time and love given to your sweet treat of choice is met with an even greater passion. We thank you for visiting our website and considering Skeeter’s Southern BBQ for your next meal, party, celebration and/or significant milestone. You’re now more than a customer, you’re part of our family. Jonathan has always had an affinity for food and grilling out. 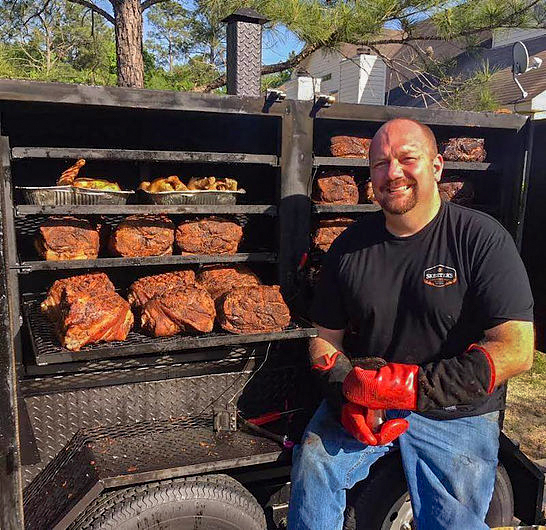 Several years ago, he took his passion for grilling in to the world of smoking meat. Jonathan caught the “bug’ immediately and friends encouraged him to bottle his sauces and cook for their events. In his competitive nature, he has worked to find ways to make Skeeter’s Southern BBQ better than the rest. Jonathan uses a 100% of the process 100% of the time philosophy to insure a top quality product every time. Jessie brings a more practical value to Skeeter’s Southern BBQ. She has vast experience in culinary, hospitality,event planning and event management. Jessie owned and managed her own bakery and catering company, under the brand, Sweet Temptations. 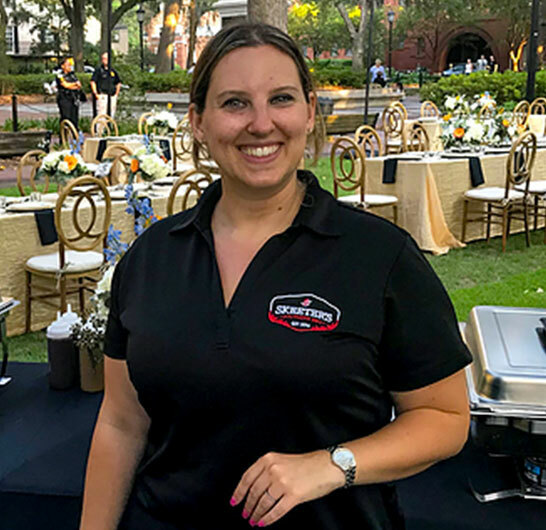 When you work with Skeeter’s Southern BBQ for you catering and event needs, you get more than a BBQ company, you receive a level of expertise and experience in not only handling the catering for your function, but and expert to help you plan, organize and execute your event. Jessie’s attention to detail and creative approach is invaluable to insure that not, only is everything handled, but to the scale and professionalism you deserve.